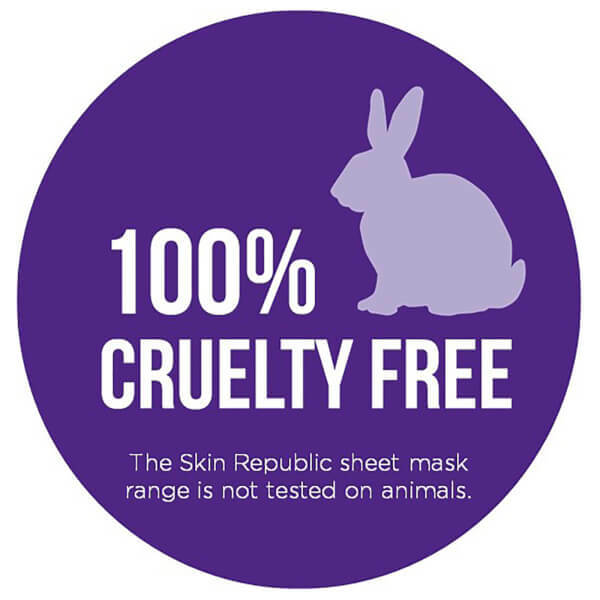 Rediscover youthful skin with Skin Republic Caviar and CoQ10 Face Mask, hydrating sheet mask treatment that provides a reparative effect to help moisturise, protect and revitalise your skin. Delivering nutrients and intense moisture with close and continuous contact, the treatment is dedicated to rejuvenating and hydrating your complexion. 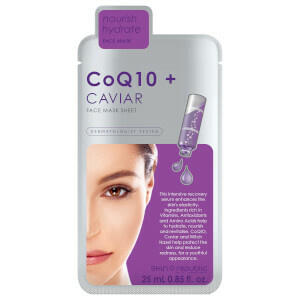 Combining Caviar with CoQ10 and Witch Hazel, the serum mask helps to improve skin elasticity whilst hydrating, protecting and reducing signs of redness. Caviar's blend of vitamins and Nucleic Acids promote natural collagen production for plumper, firmer-looking skin. Rich in vitamins and antioxidants, it helps combat damage from external aggressors and slow down signs of ageing. Skin is radiant and revitalised. skin' nature allows for faster absorption than traditional masks and creams. They are also more hygienic. Caviar - rich in Vitamins and micro-elements to slow down ageing process and moisturise skin. CoQ10 - a naturally occurring enzyme essential for good health. Witch Hazel - naturally astringent and helps control water loss.